The Northwestern School of Law of Lewis and Clark College (also known as Lewis & Clark Law School), is an American Bar Association-approved private law school in Portland, Oregon. The law school received ABA approval in 1970 and joined the Association of American Law Schools (AALS) in 1973. Lewis & Clark Law School offers the Juris Doctor (J.D.) degree, including a range of scholastic concentrations and legal certificate programs, as well as a Master of Laws (LLM) degree in environmental, natural resources, and energy law and an LLM degree in animal law]. Each class in the three-year J.D. program has approximately 180 students. The dean of Lewis & Clark Law School is Jennifer J. Johnson, Erskine Wood Sr. endowed Professor of Law, a securities law scholar and arbitration expert, as well as a member of the American Law Institute. Lewis & Clark law students can complete their degrees on full-time or part-time schedules, take courses during the day or evening, and focus in a number of legal specialties. The institution has a general law review and a range of specialty programs, including environmental law, public interest law, and the lawyering program. According to Lewis & Clark's 2015 ABA-required disclosures, 61.7% of the Class of 2015 obtained full-time, long-term, JD-required or JD-preferred employment nine months after graduation. The law school grounds are adjacent to a forested natural area, replete with 14-miles of biking and jogging trails in Tryon Creek State Park. The Law School is 4-miles from downtown, in the Southern hills of Portland, west of the Willamette River, at the base of the undergraduate campus of Lewis & Clark College. The Lewis & Clark College undergraduate, graduate school, and law campus grounds collectively occupy 137 acres (554,000 m²), centered on the M. Lloyd Frank Estate on Palatine Hill in the Collins View neighborhood of Southwest Portland. Lewis & Clark Law School's origins began with the University of Oregon establishing a Department of Law in Portland in 1885. After the Oregon State Legislature moved the program to Eugene, Oregon in 1915, several law faculty members resisted the move, and formed the Northwestern College of Law. In 1965, the faculty and overseers of Northwestern College of Law joined with the president and trustees of Lewis & Clark College to incorporate the Northwestern School of Law of Lewis & Clark College. Harold G. Wren was Dean of the law school from 1969-72. Today the college has over 100 faculty and staff. Faculty members regularly appear as experts in legal proceedings, publish legal texts and contribute primary research findings to legal scholarship around the country. The Paul L. Boley Law Library is the largest law library in Oregon and the second-largest in the Pacific Northwest with a collection of over 505,000 volumes as of 2014. Boley is also home to clinical space and program offices. The 2019 U.S. News & World Report ranked the school at 104 as a Tier 2 institution. Individual programs continue to receive high marks at Lewis & Clark. In 2019, Lewis & Clark Law School ranked second of environmental law programs in the United States, according to U.S. News & World Report's rating system. Meanwhile, the Lewis & Clark Part-Time Program was ranked 7th in the country as of 2015. The Lewis & Clark Law Review was ranked among the top 5% of all law journals and the top 20% of general-interest law reviews by the 2015 Washington and Lee Law Review Rankings and Google Scholar. The campus also serves as the permanent host of the National Native American Law Students Association (NALSA) Moot Court Competition and the International Law Students Association (ILSA) Pacific Regional Philip C. Jessup International Law Moot Court Competition. Additionally, the ILSA Student Initiated Lecture Series at Lewis & Clark has been internationally recognized for academic excellence. In addition, the law school has developed a number of exclusive global summer externship placements. There are options in India for students interested in business, litigation, transactional, public interest, human rights, and environmental practice through placement with firms and NGOs in Delhi, Hyderabad, and Mumbai. The law school has also secured exclusive placements in Asia, for students interested in international law firm experience. Past placements include firms in both Beijing and Shanghai, China. According to Lewis & Clark's official 2015 ABA-required disclosures, 61.7% of the Class of 2015 obtained full-time, long-term, JD-required or JD-preferred employment nine months after graduation. Lewis & Clark's Law School Transparency under-employment score is 27.2%, indicating the percentage of the Class of 2013 unemployed, pursuing an additional degree, or working in a non-professional, short-term, or part-time job nine months after graduation. The average cost of attendance at Lewis & Clark Law School for the 2016-17 school year includes tuition ($43,240 full-time, $32,426 part-time); fees ($50 public interest fee); health insurance ($2,402 if not already covered); and average cost of living expenses ($18,761). ^ "About Lewis & Clark - Lewis & Clark". Lclark.edu. Retrieved June 7, 2014. ^ "Lews & Clark Law School". Retrieved 15 January 2019. ^ "ABA-Approved Law Schools by Year". ABA website. Retrieved May 31, 2014. ^ "Jennifer Johnson appointed Dean of Lewis & Clark Law School - Newsroom - Lewis & Clark". Lclark.edu. December 6, 2013. Retrieved June 7, 2014. ^ a b "Employment Statistics". ^ "Lewis & Clark College (Northwestern) | Best Law School | US News". Grad-schools.usnews.rankingsandreviews.com. Retrieved June 7, 2014. ^ "Our History - About Lewis & Clark - Lewis & Clark". Lclark.edu. Retrieved June 7, 2014. ^ "Microsoft Word - pages-blumm-elr.doc" (PDF). Retrieved June 7, 2014. ^ Best Law Schools: Best Environmental Law Programs. U.S. News & World Report. Retrieved March 2018. ^ Best Graduate Schools: Law Specialty Rankings: Part-time Law. Archived 2012-12-14 at the Wayback Machine U.S. News & World Report. Retrieved March 24, 2014. ^ "Washington and Lee Law Review Rankings". Archived from the original on 2006-03-07. Retrieved 2014-06-01. ^ Scott Learn, The Oregonian. "Lewis & Clark Law School showcases top students - with help from U.S. Chief Justice John Roberts". OregonLive.com. Retrieved June 7, 2014. ^ "International Law Students Association - the future of international law - US Regional Rounds". Ilsa.org. March 2, 2014. Retrieved June 7, 2014. ^ "International Law Students Association - the future of international law - International Law Students Association - the future of international law". Ilsa.org. Retrieved June 7, 2014. ^ "Law School - Lewis & Clark - Global Law - Law School - Lewis & Clark". Law.lclark.edu. January 31, 2014. Archived from the original on June 6, 2014. Retrieved June 7, 2014. ^ "Study Law in China - Global Law - Law School - Lewis & Clark". Law.lclark.edu. Retrieved June 7, 2014. 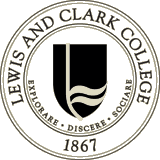 ^ "Lewis & Clark University Profile". ^ . "Law Student Living Expenses". ^ "Alexander G. Barry". Biographical Directory of the United States Congress. Retrieved March 5, 2013. ^ "Cliff Bentz". Project Vote Smart. Retrieved March 1, 2013. ^ "Earl Blumenauer". Biographical Directory of the United States Congress. Retrieved March 1, 2013. ^ "Anna J. Brown". Federal Judicial Center. Retrieved March 1, 2013. ^ "Kate Brown". Project Vote Smart. Retrieved March 1, 2013. ^ "Dean F. Bryson". WhoisLog. Retrieved March 1, 2013. ^ Quintard Taylor, "Beatrice Morrow Cannady (1889-1974)," The Oregon Encyclopedia. ^ "Robin Kundis Craig". Archived from the original on 2013-01-13. ^ "Mercedes Diaz" (PDF). Archived from the original (PDF) on 2013-07-21. ^ "John Hubert Hall". Oregon Secretary of State. Retrieved March 5, 2013. ^ "Heidi Heitkamp". Project Vote Smart. Retrieved March 5, 2013. ^ "Ralph Holman". The Oregonian. ^ "Betsy Johnson". the Oregon State Capitol. Archived from the original on April 26, 2013. Retrieved March 5, 2013. ^ "Donald C. Johnson". Notable Names Data Base. Retrieved March 5, 2013. ^ "Robert E. Jones". the Oregon State Capitol. Retrieved October 11, 2013. ^ "Nick Kahl". Project Vote Smart. Retrieved March 5, 2013. ^ "Garr King". Federal Judicial Center. Retrieved March 5, 2013. ^ "Jack Landau". Oregon Judicial Department. Retrieved March 5, 2013. ^ "Michael J. McShane". Oregon Live LLC. January 4, 2013. Retrieved March 1, 2013. ^ "Wayne M. Perry". Boy Scouts of America. Archived from the original on March 13, 2013. Retrieved March 5, 2013. ^ "Betty Roberts". Oregon Judicial Department. Retrieved March 5, 2013. ^ "Phil Schiliro". The Washington Post. July 25, 2012. Retrieved March 5, 2013. ^ "Mildred Schwab". Oregon Encyclopedia - Oregon History and Culture. Retrieved March 5, 2013. ^ "Leonard Shoen". Notable Names Data Base. Retrieved March 5, 2013. ^ "Gail Shibley". The Oregonian. April 20, 2013. This page was last edited on 16 March 2019, at 05:36 (UTC).